Ideas for transforming your garden into an extra room of the house. The environment around your new garden room or extension is as important as the building itself. It has to sit comfortably, nestling within the landscape and it has to work harmoniously with the rest of your garden. 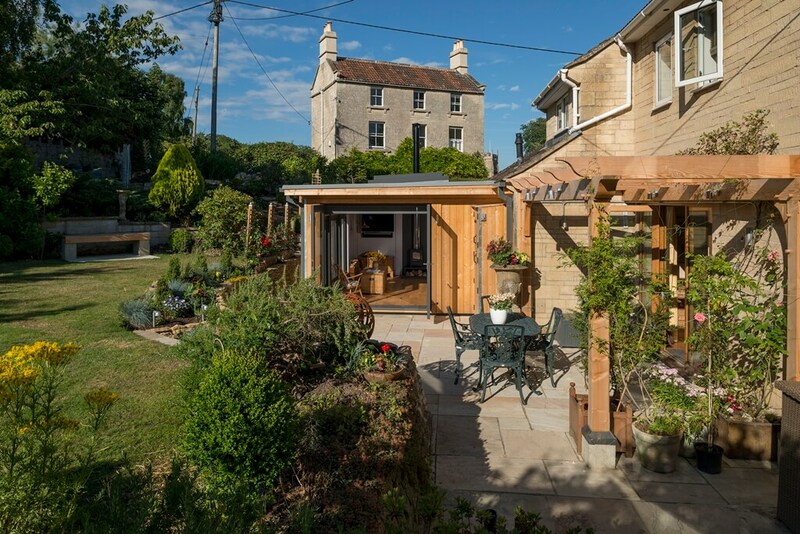 Every nook and cranny that surrounds your new summerhouse has to help you to use the space exactly as you intended it to be used, whether that’s as a relaxing suntrap with a patio area or to create a view with beautiful raised wildflower beds. Or perhaps you’re imagining a gravel path winding down to your secluded summerhouse retreat with an array of carefully chosen plants and flowers flowing down each side. Your garden may require sun basking or shade loving plants. There’s a gorgeous range of plants and flowers for all garden types that can brighten up and bring life to any dark and overgrown corner; from the graceful climbing Clematis that loves the sunshine to the dusky purple Lily Lovell that dwells in the shade. You could turn the bottom of the garden into a stunning and fully usable space, not just somewhere where the compost bin lurks and a pile of logs teeter after a ‘bug hotel project’ disintegrates. As your garden building takes shape, you may start to imagine the additional potential that your garden space has to offer around it. The surrounding landscape can be adapted to be both functional and beautiful through adding specially designed loggias or verandas for al fresco family dinners or summer barbeques. You might feel you require a little extra storage space, in which case, you might want a shed or outbuilding that uses the same gorgeous building materials as your garden room or extension to create a sense of harmony and continuity. 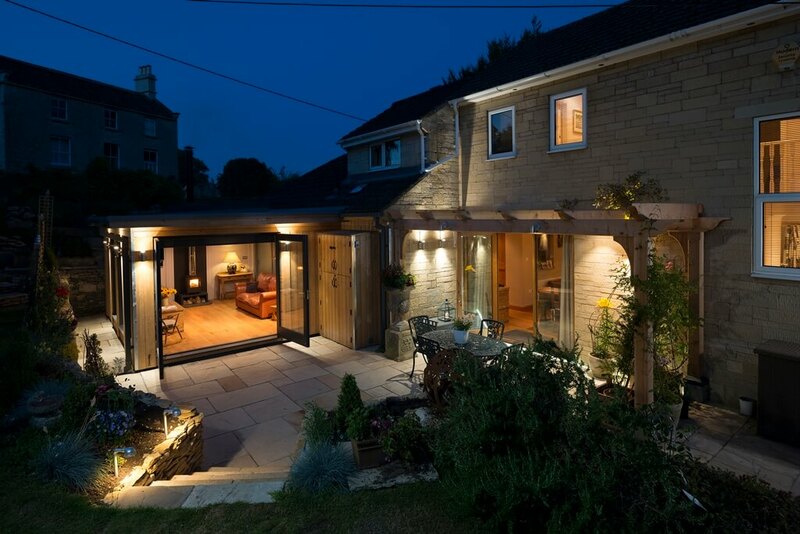 Garden lighting can completely transform how you use your outdoor space as well. It can help you to enjoy your garden for as long as possible on those warm summer evenings and it even creates a cosy glow in winter too. It blurs the line between indoors and outdoors and allows you to use your garden just as you would use any other part of your house. Imagine soft pools of light following the path down to your garden room or stunning exterior lights on your veranda that gently illuminate your garden parties so that they don’t have to be restricted by the cycles of the lunar calendar. 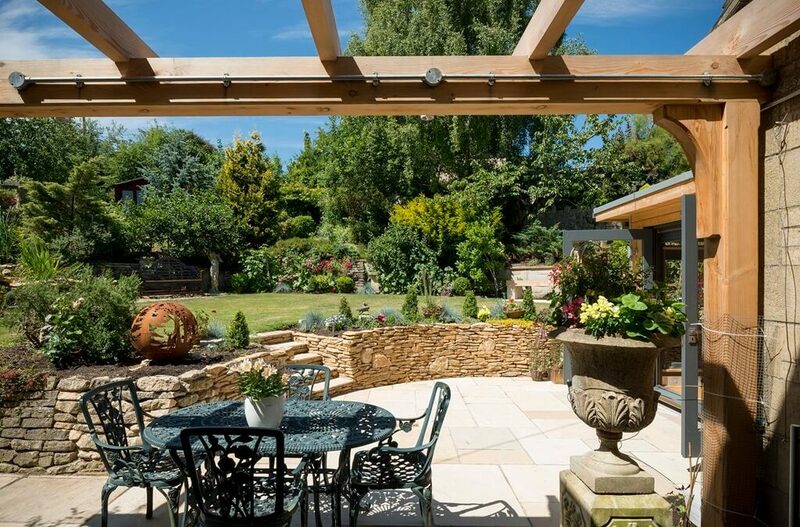 Summer is just around the corner: we have already been tickled by its warm breezes over the Bank Holiday and with a toasty summer predicted for this year, isn’t it time to really make the most of your garden and turn it into a space that you and your family really love? We don’t only make it our mission to install the most gorgeous garden rooms on the market but we also provide each of our clients with a whole range of bespoke additions to their home and garden. Take a look at some of our recent landscaping projects on our landscaping page. Hi, fill in the form to stay in touch and receive MOSS' latest product launches, offers and news from our blog posts. Should We Extend or Move?